SARPES is a spin-sensitive variation of the more commonly implemented technique of angle-resolved photoemission spectroscopy (ARPES), which itself is an electron spectroscopy technique based on the photoelectric effect that makes it possible to observe the relationship between the energy and momentum of a material’s electrons [see panel (A) below]. As such, the technique enjoys the distinction of being among the most important modern experimental probes of material properties in existence, providing information on the role of a material as an electrical conductor or insulator, on the presence or absence of topological order, and (in this case) on the propensity of the material to exhibit superconductivity and magnetic order. Their work is important as superconductivity is an exotic state of matter in which a material’s electrical resistivity drops perfectly to zero at low temperature. Due to the superior way in which electricity can flow in this state, materials exhibiting superconductivity have found their way into a number of applications including nuclear magnetic resonance (MRI) and the technology enabling high-energy particle accelerators. The phenomenon is also of great intrinsic scientific interest as the onset of superconductivity at anomalously high temperatures in copper-oxide-based and iron-based materials remains an unsolved question in condensed matter physics. Experiments were performed by graduate students Kenneth Gotlieb and Chiu-Yun Lin under the leadership of Professor Alessandra Lanzara at Lawrence Berkeley National Laboratory and UC Berkeley. 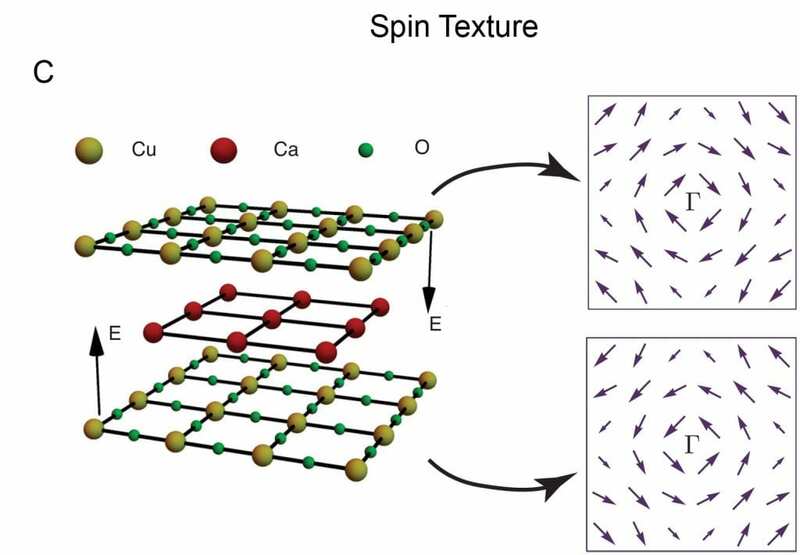 With the spin resolution enabled by SARPES, the study reveals and characterizes magnetic properties of Bi2212 that have gone unnoticed in previous studies [see panel (B), where the blue shading indicates spin polarization; and panel (C) which depicts a theoretically proposed spin texture], and which run counter to some of the prevailing theoretical ideas about the material’s electrical properties. 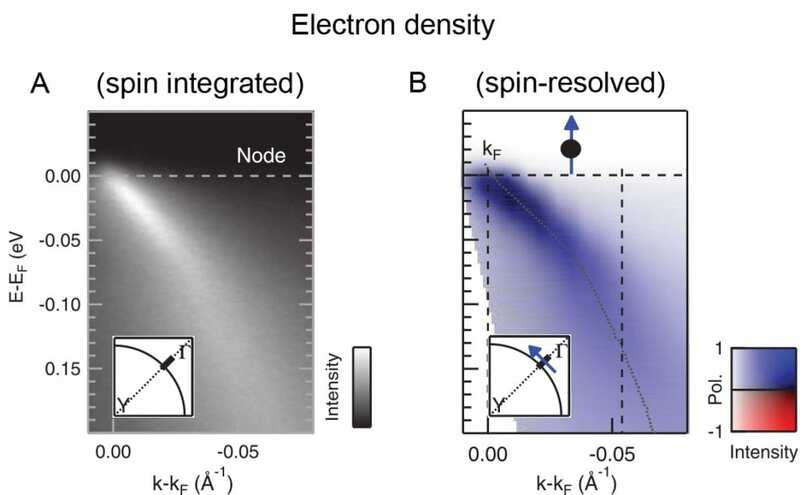 In particular, the findings pose new challenges for the Hubbard model and its variants where the spin-orbit interaction is mostly neglected, and they raise the intriguing question of how cuprate superconductivity emerges in the presence of a nontrivial spin texture, as superconductivity and magnetism are normally considered to be competing forms of long-range electronic order. San Jose State University College of Science Assistant Professor Ehsan Khatami’s research on ultracold atomic gasses has been published in Science, “Observation of Spatial Charge and Spin Correlations in the 2D Fermi-Hubbard Model,” released on Sept. 16. The article is a collaboration between Khatami and other researchers at five universities. The Hubbard model is the simplest theoretical model of interacting quantum particles hopping around on a lattice, effectively simulating electrons in the crystal structure of atoms in solids. Only in certain situations can properties of the model be calculated. 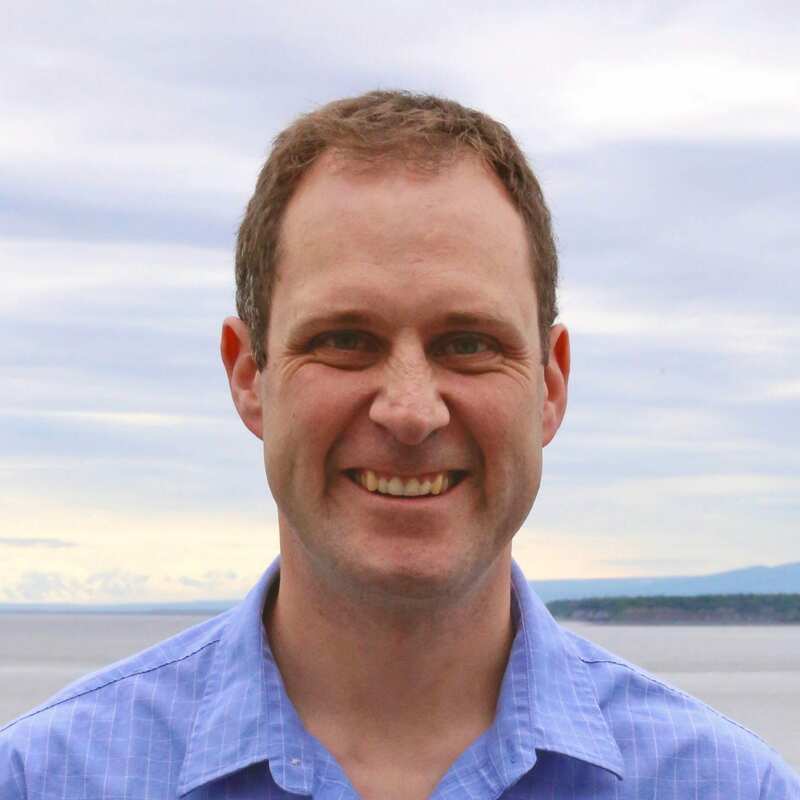 In other more interesting situations, e.g., when it is relevant to superconductivity (the phenomenon of zero electrical resistance), not even the most powerful computers in the world can solve the model. So, the experimentalists are trying to simulate it using ultracold atoms. Khatami said the improved understanding of the Hubbard model in two dimensions will help scientists uncover the mysteries of high-temperature superconductivity and other exotic phases of matter. “It moves us forward in the direction of material by design, using strongly-correlated materials that hold the greatest promise for future technology, transportation and energy applications,” Khatami said. In the past decade, scientists in the Atomic, Molecular, and Optics (AMO) community have been trying to cool down (to only slightly above absolute zero temperature) and study clouds of thousands of atoms they have mastered to confine in a small region of space, typically several microns wide, using optical traps, potential wells created by lasers. They also impose an “optical lattice,” created by crisscrossing laser beams to mimic the lattice structure in the Hubbard model. “The long-term goal of experimental efforts in this field is to cool down the atomic cloud to even lower temperatures and find out whether the theoretical Hubbard model can describe the superconducting phase,” Khatami said. Khatami and his colleague at Pennsylvania State University Dr. Marcos Rigol had published a numerical solution of the two-dimensional (2D) Hubbard model in 2011 that piqued the interest of Dr. Martin Zwierlein, of MIT. The trio worked with seven other researchers from five universities. The current article follows another related work by Khatami and his collaborators published in the March 2015 issue of Nature, “Observations of antiferromagnetic correlations in the Hubbard model with ultracold atoms.” In the article, researchers described how long-range magnetic correlations of ultracold atoms in three-dimensions were observed in optical lattices for the first time. The paper was deemed a “hot paper” by ISI in March as one of the top .1 percent of papers in its academic field due to the number of citations it received. 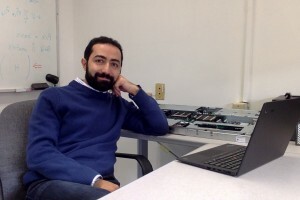 Khatami said for his parallel numerical calculations, he extensively used a computer cluster he put together last year using startup money provided to newly hired tenure/tenure-track faculty, and with support from the Physics and Astronomy Department and the College of Science. The cluster, called Teal, has four nodes, 54 cores, and more than 760 GB of RAM.